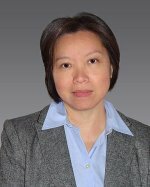 Dr. L. Ruby Leung, an internationally renowned atmospheric scientist specializing in climate modeling and the water cycle, and Laboratory Fellow at Pacific Northwest National Laboratory, has been selected by the Department of Energy to lead the Accelerated Climate Modeling for Energy (ACME) project as Chief Climate Scientist. In this role, Leung will help guide the science behind one of DOE’s most important areas of research: transforming the Nation’s ability to predict climate change and its impacts. As Leung takes on the ACME council leadership role, she will apply her efforts on governance, planning, reporting, and advancing Earth system models. As the Chief Climate Scientist, she will work with four dedicated groups on individual Earth system components and the coupled system to provide scientific guidance that will lead to strong climate modeling results. The project is expected to continue through 2017, focusing on climate change in the water cycle, biogeochemistry, and cryosphere-ocean systems. Leung is a Fellow in the American Geophysical Union, American Meteorological Society, the American Association for the Advancement of Science, and a member of the Washington State Academy of Sciences. Her research crosses scientific disciplines to advance the state-of-the art in predicting climate change and its regional impacts. Leung has published over 190 peer-reviewed papers. ACME is a newly launched project sponsored by the Earth System Modeling program within DOE’s Office of Science, Biological and Environmental Research. ACME is an unprecedented collaboration among eight national laboratories and six research institutions to develop and apply the most complete, leading-edge climate and Earth system models to challenging and demanding climate-change research imperatives. It is the only major national modeling project designed to address DOE’s mission need to efficiently capitalize on leadership computing resources now and in the future.